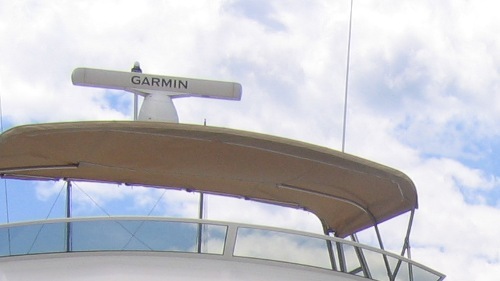 Daily Boater Boating News: High Def Comes to Radar - Will Anything Be The Same? Really, only two things. First, even the best radar systems have difficulty is differentiating close objects from each other. As you may remember from the prior article, we thought we were closing in on a large slow moving vessel in Narrow Bay one night when our forward-looking infra-red scanner told us the truth – a flock of swans serenely paddling ahead of us… This can also be true for a tug and its tow – which is less serene to come upon in the fog… Secondly, in close quarters, it can be deceptively assuring – when assurance is not at hand. Last Spring, we came in to Moriches Bay via the Inlet one moonless, cloud covered night with no visible contacts but the radar overlay on the chart plotter. Well, that is certainly better than nothing – except that the east channel from the Inlet to the seaway within the bay is narrow. I didn’t have 50’ on either side of good water – but the chart and radar resolution wasn’t much better than that. What to do? Slow down and get a crewman on the bow… so much for technology…! When I saw my first high-def TV, I realized that actors had better see their dermatologists right away. I could count the hairs on the chin of the actors – which also meant their scars, pimples and pock marks! It also meant that sports figures needed to clean up their language because now it was a lot easier to read their lips when they ‘cussed out the referee or umpire..! Happily for boaters, high-def means better, not worse. Instead of a smudge of radar return signals implying that the Queen Mary is anchored in Moriches Bay west of the Inlet, you’ll be able to count the boats swinging at anchor, or drift fishing, within feet of each other. I’ve seen high-def radar screen-shots showing boats in slips at a marina. Prior to that, all I would have been able to see is one large radar return of a very large object ahead. It is always hard to predict the future so I won’t begin to… but bear this in mind… everywhere that there have been systems with moving parts, the moving parts are the most inefficient and, thanks to friction, the most likely to break… So, maybe the magnetron inside the scanner is the next enhancement…?